Pakistanis do know that they have an image problem. They have a unique way of addressing this tough challenge. Many in Pakistan have historically believed that electing and appointing women to key posts can help improve the country’s unpopular international image. At a time when Islamabad’s diplomatic ties with Washington have reached their lowest ebb, Pakistan appointed its first female foreign minister, Hina Rabbani Khar. A former Minister of State on foreign affairs, Ms. Khar, 34, is the youngest foreign minister in the history of a country whose hostile foreign policy has backfired at home and created a mess in its neighborhood. In the past, Pakistan had elected Benazir Bhutto as the first prime minister of the Islamic world. Likewise, Dr. Fahmida Mirza of the ruling Pakistan People’s Party (PPP) was elected as the first female Speaker of parliament in the Muslim world. 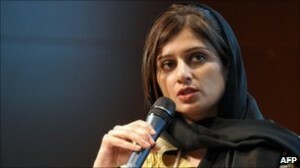 Ms. Khar is an addition to the precedent of electing women to present a softer image of the nuclear-armed Muslim nation. However, what makes these cosmetic changes unappealing for the people of Pakistan is the fact that all these women come from elite political families. Had Benazir Bhutto’s father, Zulfiqar Ali Bhutto, not founded the PPP in 1967 and served as Pakistan’s President and Prime Minister, Bhutto would perhaps never have become the first female Prime Minister. Similarly, had Ms. Mirza’s husband, Dr. Zulfiqar Mirza, not been a crony of President Asif Ali Zadari and the Interior Minister of the Sindh province, she would not have been elected to the coveted post of Speaker of Pakistan’s 342-member National Assembly. The beautiful foreign minister has attracted much attention in the South Asian media for all reasons except for issues pertaining to foreign policy. Many look at her as an extremely inexperienced politician to hold such a significant position at a critical juncture of the the US-Pak and Indo-Pak relations and momentous developments in the Af-Pak region. The young and inexperienced foreign minister initially had to face two major challenges. First, to discuss the India-Pakistan relations with her senior counter-part S.M. Krishna. Secondly, to fix the almost frozen relationship with the United States. The foreign ministers also agreed to meet in the first half of 2012 to review progress on the dialogue process. “The [foreign] ministers also agreed that people of the two countries are at the heart of the relationship and that issues of people-to-people contacts and humanitarian issues should be accorded priority and treated with sensitivity. 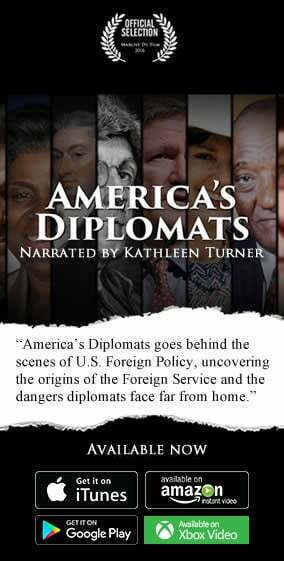 At the end of the day, the success of Ms. Khar hinges upon the support she gets from the military establishment which actually determines the country’s foreign policy. The future of Pakistan’s relations with the United States, India and Afghanistan depend on curbing and containing the Pakistan-based Islamic radical groups, which may, with their terrorist activities, create a situation beyond the control of the young foreign minister.